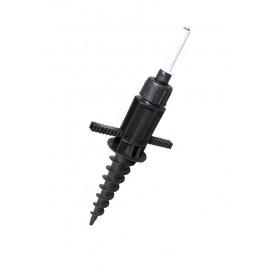 A screw base made of plastic with a rotating pin on the top of it. Made of the high quality plastic. 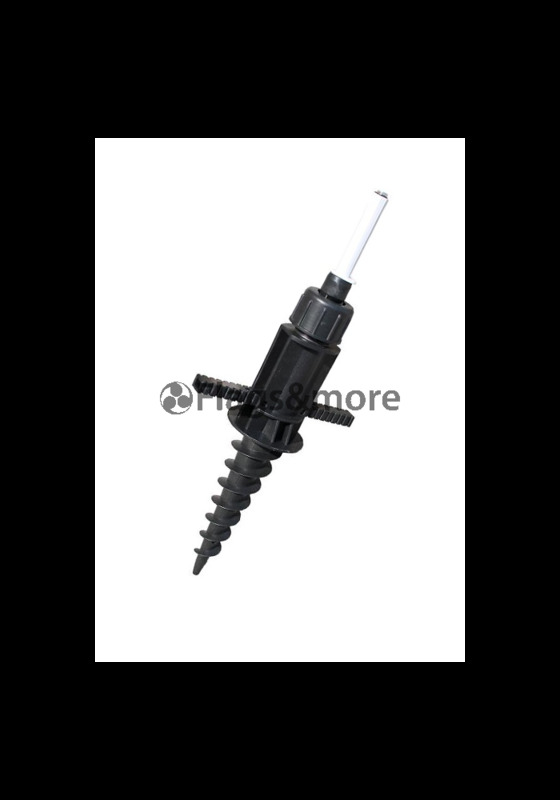 It is ideal for the soft ground use with beach flag of any size or model. 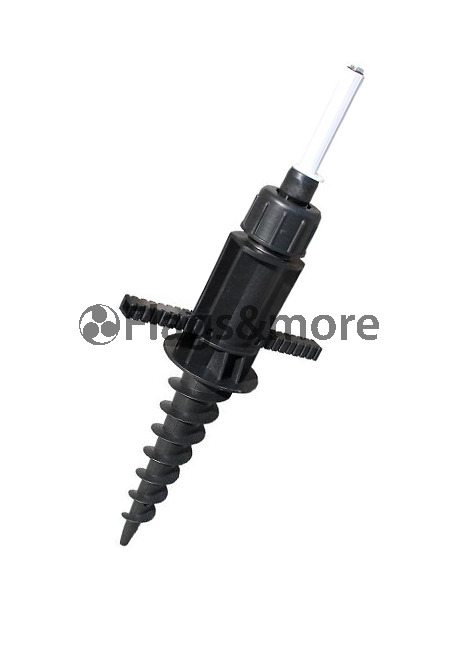 It can be easily installed in sand, grass, clay or any dirt.